Someday you'll cry for me like I cried for you. Someday you'll miss me like I missed you. Someday you'll need me like I needed you. 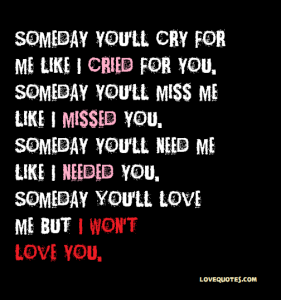 Someday You'll love me but I won't love you.